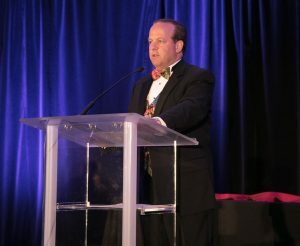 Frank Botta, Chair of The Lynch Law Group Transportation Practice, officially completed his term as President of the Transportation Lawyers Association (TLA) at the 2018 Annual Conference, which took place May 2–5, at the Waldorf Astoria in Orlando, Fla. Mr. Botta served in the role from May 2017 – May 2018 and is the first attorney from Pennsylvania to hold the TLA’s top leadership position in nearly 40 years. For more than 20 years he has been an active member of the TLA, which is the largest independent transportation bar association in the U. S., comprised of more than 1,000 lawyers who represent members of the transportation and logistics industry. Mr. Botta remains an officer on the Executive Committee, assuming the position of Immediate Past President of the association. In this capacity he will guide and assist the current officers in their duties. A transportation industry veteran, Mr. Botta has more than two decades of experience providing counsel to local, regional, national and international companies involved in transportation and logistics regarding the myriad of legal issues and regulations they face each day. This entry was posted in Legal Watch, Transportation, Announcements and tagged TLA, Transportation. Bookmark the permalink.